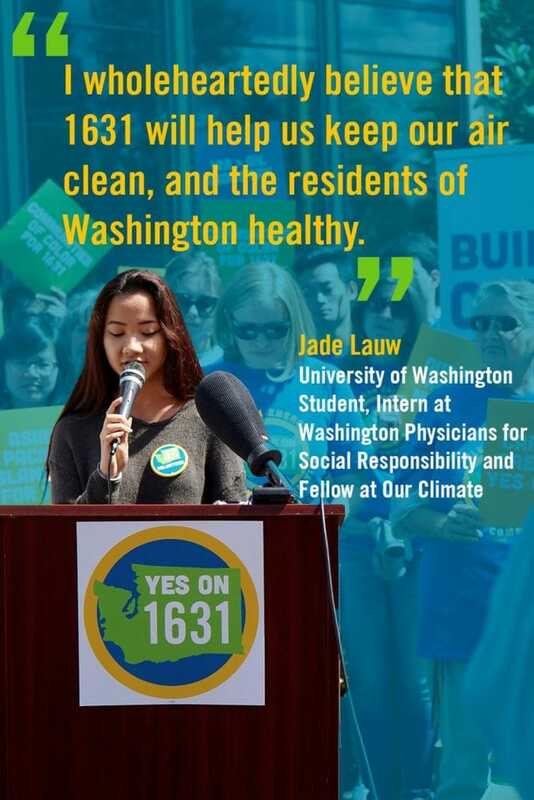 Initiative 1631 promotes clean energy, jobs, and healthy communities in Washington by charging polluters a fee whose proceeds will be invested in renewable resources, forest and water protection, and helping communities. A free and easy way to help make sure I-1631 passes is to share posts through your social media accounts. Go here to follow Yes on 1631. And go here to find messaging and photos you can share. Go here to follow @yeson1631 and find tweets you can share. Of course, if you really, really want to help, you can volunteer your time or make a donation. And don’t forget the most important contribution you can make. If you’re a Washington resident, Vote Yes on 1631 this November!